Book Review — A WORLD IN DISARRAY: American Foreign Policy and the Crisis of the Old Order. A WORLD IN DISARRAY: American Foreign Policy and the Crisis of the Old Order. By Richard Haass. 330 pages. Penguin Press, 2017. $28.00. “There are risks and costs to a program of action. But they are far less than the long-range risks and costs of comfortable inaction.” John F. Kennedy, US President1 Speech delivered at Americans for Democratic Action convention, Washington, DC, 12 May 1961, quoted in “Times Call for Liberal Actions, Says Kennedy,” Lodi (CA) News-Sentinel, 13 May 1961. 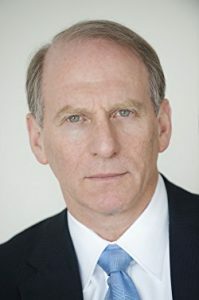 There is a reason why Richard Haass is serving a fourteenth term as President of the highly regarded, independent, nonpartisan US think tank the Council on Foreign Relations. It comes across when reading his latest book, A World in Disarray. His historical and political analysis is lucid and nuanced, offering thought-provoking advice on dealing with the most pressing events of our time. US President Donald Trump would be well advised to read this book and take heed of Haass’s views. A big thinker in the mold of Henry Kissinger (without the Machiavellian / Darth Vader aura),2 See e.g., Christopher Hitchens, The Trial of Henry Kissinger (Verso 2001). Critics have faulted Kissinger for injustices in US foreign policy during his tenure in government. A proponent of realpolitik, Kissinger has a history of saying bold and controversial things. For example, from March 10, 1975 meeting with Turkish foreign minister Melih Esenbel in Ankara, Turkey, Kissinger was quoted to say: “The illegal we do immediately. The unconstitutional takes a little longer.” See Don Oberdorfer, Kissinger Oversleeps on His Last Day, The Washington Post, 20 January 1977; see also Memorandum Of Conversation – Aid Cut-Off: Cyprus March 10, 1975. Haass is pragmatic, advocating a brand of realpolitik that seems reasonable and acceptable. And don’t let the subtitle, American Foreign Policy and the Crisis of the Old Order, turn you off. Haass may have US foreign policy as his central focus, but his analysis of some of the most pressing conflicts or threats to regional/global security (North Korea’s and Iran’s efforts to build nuclear weapons with long range delivery systems, resolving the Syrian civil war, Russia’s aggression toward Ukraine and other neighbors, China’s expansionist goals in the South China Sea, etc.) and his views on resolving them are relevant to international lawyers. Haass’s approximate treatment of legal concepts such as preventive versus preemptive intervention (he describes the US attack on Iraq as a preventive action aimed at stopping a “gathering threat,” though he questions the legitimacy of this action), and Responsibility to Protect (R2P) is diagnostic. Those looking for conceptual constructs expressed in longwinded convoluted sentences to affect erudition will be disappointed. 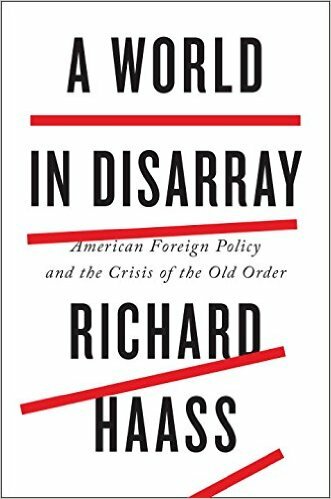 In simple and clear prose, Haass advances his thesis that what may have worked in the past – based on the relative stability of a bipolar world order – has run its course. He stresses the need for a new world order that reflects its multilateral, interconnected nature; a new world order where there are many players and forces, and where activities inside borders that adversely affect those on the outside require a collective response that garners legitimacy. A World in Disarray is a gem, packed with broad analysis of key events and the views that either drove those events or emerged from them, shaping modern-day statecraft. Haass deftly traces the Westphalian order that resulted from the Treaty of Westphalia, where order based on the balance of power of states rested on the non-interference in another state’s internal affairs, to today, where a state’s sovereignty encompasses obligations to and rights of its citizens, which, if abridged in large scale, could result in the forfeiture of some of the protections of sovereignty. The book is divided in three parts. The first part looks at international relations as understood and practiced from the emergence of the modern state in the seventeenth century all the way to up to the end of the Cold War. Haass considers this to be World Order 1.0. The second part covers the past 25 years that followed the end of the Cold War. Here Haass shows how international relations break with the past, though approaches to statecraft remained static and mostly reactive. This sets up nicely the third part, which is primarily prescriptive. Haass sees a new reality that requires rational and creative thinking: a new approach to sovereignty bearing obligations and rights, multilateralism in tackling global issues, including issues within sovereign borders that impact humanity, and conditional approaches in relations among states. While I find A World in Disarray a stimulating read for anyone interested in international affairs, it is not my intention to do a comprehensive review. There are others far more qualified to get down into the weeds and parse Haass’s historical traces of international affairs and his thesis on how the US should re-calibrate its thinking to succeed both in its domestic and foreign affairs. My focus is on Haass’s treatment of issues related to state interventions in the affairs of other states for humanitarian reasons, where, as is far too often the case, the United Nations (UN), and in particular, the UN Security Council, is impotent to act. Haass does not offer any grand solutions, but his insight, for instance as to why R2P is unlikely to gain the traction of its promise, is useful to the ongoing debate on what to do with Syria. For context, it will be necessary to briefly discuss Haass’s historical treatment of international relations before zeroing in on the focus of this review. The classical view of order attributed to the Treaty of Westphalia was based on the notion that states should focus their foreign policy to influence the foreign policy of other states, respecting their sovereignty, and not interfering with their internal affairs (how they preside over the people living within their borders). Maintaining the balance of power was the aim of this Westphalian order. War should be avoided, but were it to be deemed appropriate, several criteria had to be met for it to be considered a just war: 3 For an excellent treatment on just war, see Michael Walzer, Just and Unjust Wars: A Moral Argument with Historical Illustrations, 3rd ed. (New York: Basic Books, 2000). a. the cause had to be worthy; b. waged by a legitimate authority; c. only as a last resort; d. the force used had to be limited to what was necessary and appropriate; and e. the wellbeing of non-combatants had to be respected. These criteria were not met during WWI. And despite international norms that followed WWI, and the feeble attempts in creating the short-lived League of Nations to foster sustainable order through dialogue and diplomacy, WWII was anything but a just war. WWII also highlighted the flawed concept of non-interference in the internal affairs of a state on how those living within its sovereign borders should be treated. Haass observes that one of the “fundamental tenants” of post-WWII order is self-determination, though “less clear and certainly less broadly embraced was the notion of a right of self-determination for peoples living within established nation-states.” (p. 108) And much of this comes to the fore with the end of the Cold War and the rise the aspiration of groups (constituent peoples) living within the borders of nation-states. And this brings us to R2P. I have discussed this doctrine (if we can call it that) in previous posts here and here. My take is that while there have been instances where states take it upon themselves to militarily intervene in situations where there is no right of self-defense per se, and no UN Security Council approval, a strict application of international norms prohibits such conduct. Others see it differently,6 For a justification for intervening in Kosovo and for when R2P interventions can legitimately occur in the absence of UN Security Council approval, see Sir Daniel Bethlehem, Stepping Back a Moment—The Legal Basis in Favour of a Principle of Humanitarian Intervention, Blog of the European Journal of International law, EJIL: TALK! 12 September 2013, who offers two distinct justifications: a) when the weaving threads of law and practice demonstrate the legality of force outside the UN Security Council system; and b) through a claim that a new norm of customary international law in favor of the principle of humanitarian intervention has rapidly crystallized. See also the UK’s position regarding the use of military force in Syria following the chemical attack Damascus in 2013, stating that humanitarian intervention has a legal basis, provided certain conditions are met: “(i) there is convincing evidence, generally accepted by the international community as a whole, of extreme humanitarian distress on a large scale, requiring immediate and urgent relief; (ii) it must be objectively clear that there is no practicable alternative to the use of force if lives are to be saved; and (iii) the proposed use of force must be necessary and proportionate to the aim of relief of humanitarian need and must be strictly limited in time and scope to this aim (i.e. the minimum necessary to achieve that end and for no other purpose).” UK Prime Minister’s Office, Chemical weapon use by Syrian regime: UK government legal position, 29 August 2013, available here. See also Harold Hongju Koh, Syria and the Law of Humanitarian Intervention (Part II: International Law and the Way Forward), Just Security, 4 October 2013; Jens David Ohlin, I agree with Harold Koh, Opinio Juris, 8 April 2017. making compelling – though somewhat tortuous – arguments justifying military attacks, such as the recent strikes against the Syrian regime for the use of chemical weapons. Haass’s diplomatic / statecraft perspective is worth examining. Legal experts are primarily interested in the letter and spirit of the law when interpreting it and in trying to identify the contours of its application. Those involved in statecraft see the application of international norms more from the practical than the theoretical point of view. The R2P doctrine comes with serious (geo)political considerations, which is why it is controversial. Under R2P, which came out the UN-convened World Summit in 2005, “[e]ach individual state has the responsibility to protect its population from genocide, war crimes, ethnic cleansing and crimes against humanity.”7 UN General Assembly, A/RES/60/1, 2005 World Summit Outcome, Resolution 60/1, 24 October 2005, para. 138, available at http://undocs.org/A/RES/60/1. This goes a step further than the Universal Declaration of Human Rights in that it fixes an affirmative duty on states to protect those living within their borders against these mass atrocity crimes. R2P also fixed a responsibility on states to intervene in other states’ affairs when necessary to protect the local population from these crimes. Effectively, it calls for collective action – something the UN Security Council should be doing – though considering the veto power of the five permanent members rarely is there consensus to act swiftly and decisively. Haass also questions whether there was a real need for humanitarian intervention in Libya in the first place, highlighting the price for such interventions – especially when they result in regime change (as also noted by Colin Powell regarding Iraq when he invoked the Pottery Barn Rule: “you break it you own it”). Haass muses that a humanitarian intervention may not have been necessary because the Gaddafi regime seemed to be getting control of the situation – which arguably was a civil war, the protests were violent and the government had a right respond in kind, and there was no evidence that Gaddafi planned indiscriminate attacks on the civilian population. Haass also highlights another problem with the intervention in Libya. Though presumably it was for humanitarian purposes, once the intervention resulted in regime change, there was no follow-up in assisting civil society. After bringing down the regime, the US and NATO states failed to undertake any peace-building actions to bring the nation back together. Haass points to Libya as a “textbook” example as to why R2P is unattractive to many states – large and small. Not only did it set a precedent for interventions based on local interests (which Russia promptly used for its intervention in Ukraine), but it raised concerns about military and economic costs ensuing in the aftermath of such intervention. In summer 2012, President Obama publicly noted that were the Syrian government to use chemical weapons, the US would intervene directly, including by military means.9 White House, Remarks by the President in Address to the Nation on Syria, President Obama Addresses the Nation on Syria, 10 September 2013, available at https://obamawhitehouse.archives.gov/the-press-office/2013/09/10/remarks-president-address-nation-syria. A year later, the Syrian government used chemical weapons against the opposition forces. Obama, after publicly anguishing on whether to strike, passed the matter to the US Congress to get its approval. Though he had set the red line without congressional consultation or approval (not that he needed approval for either setting the red line or acting on it), in doing so, he effectively defaulted; it was a foregone conclusion that the US Congress would not approve any strikes. Haass rightly notes that a decision not to act can be just as devastating as acting. He thinks that a meaningful strike against the key political and military targets could have shifted the military momentum in favor of the opposition and strengthened the norm that no weapon of chemical destruction could be used with impunity. (p. 166) Haass may be right geopolitically. Maybe such a limited strike would have been “legitimate” if not pragmatic from the humanitarian perspective, but doubtfully legal. Refreshingly, Haass stresses an essential distinction between preemptive and preventive strikes. (p. 123-124) He points out that the US attack on Iraq in 2003 was a preventive action aimed at a gathering threat, rather than a preemptive action to stop an imminent military attack. According to Haass, without authorization from the UN Security Council or any other body of international standing, the US action lacked legitimacy in the eyes of much of the world. A contrasting example was that of the NATO strikes in Kosovo. Here again, NATO received no UN authorization, as Russia would have used its veto to block any initiatives of armed attacks in Serbia. But the wide international support and recognition that the conduct of the Yugoslav and Serbian authorities in Kosovo created an intolerable humanitarian crisis made the intervention acceptable and justified for many in the international community. The Independent International Commission on Kosovo concluded that the NATO military intervention “was illegal but legitimate.”10 Independent International Commission on Kosovo, The Kosovo Report, Conflict, International Response, Lessons Learned, 4 (Oxford 2000). Illegal, because it did not receive prior approval from the UN Security Council. Legitimate, because NATO exhausted all diplomatic avenues and the intervention resulted in “liberation of a majority of population of Kosovo from a long period of oppression under Serbian rule.”11 Id. Haass posits that the notion of sovereignty must have a sense of legitimacy, which comes from states accepting that sovereignty in this globalized world is based on historical events, encompassing two distinct yet inextricably linked notions: “sovereignty as responsibility” and “sovereign obligations.” He notes that traditionally sovereignty was viewed as being absolute with the government exercising its unchecked prerogative on matters inside its borders, with the one potential exception: large scale violations of human rights, which could trigger a forfeiture of some of the protections of sovereignty. R2P builds on this exception to otherwise absolute sovereignty. In making a distinction between sovereignty as responsibility as in R2P, and sovereign obligation, Haass explains that sovereign obligation “is about a government’s obligations to other governments and through them to the citizens of other countries.” (p. 228) With the world being so interconnected, activities within a state’s borders can adversely impact those who live outside those borders. Haass offers some pragmatic advice, though nothing outside conventional thinking: a. develop “best practices” for the issues that have global impact; b. adopt a pragmatic approach to dealing with collective challenges by bringing together those actors that are most relevant and willing to address particular challenges (what Haass describes as “multilateralism à la carte”); and c. engage relevant non-state actors in meaningful participation. Easier said than done, though Haass harbors no illusions. Anyone interested in foreign policy and international relations will find A World in Disarray a timely and worthwhile read. But Haass also offers much for international lawyers. In no small measure (geo)politics, foreign policy, and international relations impact on how international law is interpreted and applied, especially where national security or humanitarian issues are involved. To that extent, for those grappling with issues related to sovereignty and R2P, preventive and preemptive interventions, it is useful to be exposed to the discerning views and perspectives of those involved in statecraft. Though I do not agree with some of Haass’s assessments, his perspective of the current state of world affairs – how we got where we are and what can be done – is uncommonly straightforward and sound. And while he offers no groundbreaking solutions (something that is not in the offing when dealing with difficult global issues), his measured outlook on the challenges of the modern era and his proposed ways of approaching the realities of the new world order encourage optimism. 1. ↑ Speech delivered at Americans for Democratic Action convention, Washington, DC, 12 May 1961, quoted in “Times Call for Liberal Actions, Says Kennedy,” Lodi (CA) News-Sentinel, 13 May 1961. 2. ↑ See e.g., Christopher Hitchens, The Trial of Henry Kissinger (Verso 2001). Critics have faulted Kissinger for injustices in US foreign policy during his tenure in government. A proponent of realpolitik, Kissinger has a history of saying bold and controversial things. For example, from March 10, 1975 meeting with Turkish foreign minister Melih Esenbel in Ankara, Turkey, Kissinger was quoted to say: “The illegal we do immediately. The unconstitutional takes a little longer.” See Don Oberdorfer, Kissinger Oversleeps on His Last Day, The Washington Post, 20 January 1977; see also Memorandum Of Conversation – Aid Cut-Off: Cyprus March 10, 1975. 3. ↑ For an excellent treatment on just war, see Michael Walzer, Just and Unjust Wars: A Moral Argument with Historical Illustrations, 3rd ed. (New York: Basic Books, 2000). 4. ↑ Conference on Security and Co-operation in Europe, Final Act, Helsinki 1975, available at http://www.osce.org/helsinki-final-act. 5. ↑ Id., Declaration on Principles Guiding Relations between Participating States, p. 3, providing for the following 10 principles: I. Sovereign equality, respect for the rights inherent in sovereignty; II. Refraining from the threat or use of force; III. Inviolability of frontiers; IV. Territorial integrity of States; V. Peaceful settlement of disputes; VI. 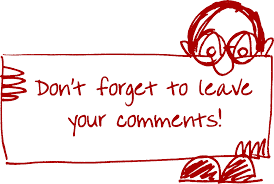 Non-intervention in internal affairs; VII. Respect for human rights and fundamental freedoms, including the freedom of thought, conscience, religion or belief; VIII. Equal rights and self-determination of peoples; IX. Co-operation among States; and X. Fulfilment in good faith of obligations under international law. 6. ↑ For a justification for intervening in Kosovo and for when R2P interventions can legitimately occur in the absence of UN Security Council approval, see Sir Daniel Bethlehem, Stepping Back a Moment—The Legal Basis in Favour of a Principle of Humanitarian Intervention, Blog of the European Journal of International law, EJIL: TALK! 12 September 2013, who offers two distinct justifications: a) when the weaving threads of law and practice demonstrate the legality of force outside the UN Security Council system; and b) through a claim that a new norm of customary international law in favor of the principle of humanitarian intervention has rapidly crystallized. See also the UK’s position regarding the use of military force in Syria following the chemical attack Damascus in 2013, stating that humanitarian intervention has a legal basis, provided certain conditions are met: “(i) there is convincing evidence, generally accepted by the international community as a whole, of extreme humanitarian distress on a large scale, requiring immediate and urgent relief; (ii) it must be objectively clear that there is no practicable alternative to the use of force if lives are to be saved; and (iii) the proposed use of force must be necessary and proportionate to the aim of relief of humanitarian need and must be strictly limited in time and scope to this aim (i.e. the minimum necessary to achieve that end and for no other purpose).” UK Prime Minister’s Office, Chemical weapon use by Syrian regime: UK government legal position, 29 August 2013, available here. See also Harold Hongju Koh, Syria and the Law of Humanitarian Intervention (Part II: International Law and the Way Forward), Just Security, 4 October 2013; Jens David Ohlin, I agree with Harold Koh, Opinio Juris, 8 April 2017. 7. ↑ UN General Assembly, A/RES/60/1, 2005 World Summit Outcome, Resolution 60/1, 24 October 2005, para. 138, available at http://undocs.org/A/RES/60/1. 8. ↑ UN Security Council, S/RES/1973 (2011), Resolution 1973, 17 March 2011, para. 4, available at www.undocs.org/S/RES/1973(2011). 9. ↑ White House, Remarks by the President in Address to the Nation on Syria, President Obama Addresses the Nation on Syria, 10 September 2013, available at https://obamawhitehouse.archives.gov/the-press-office/2013/09/10/remarks-president-address-nation-syria. 10. ↑ Independent International Commission on Kosovo, The Kosovo Report, Conflict, International Response, Lessons Learned, 4 (Oxford 2000). Previous Previous post: COURTING DUTERTE: pragmatic diplomacy or reckless abandonment?